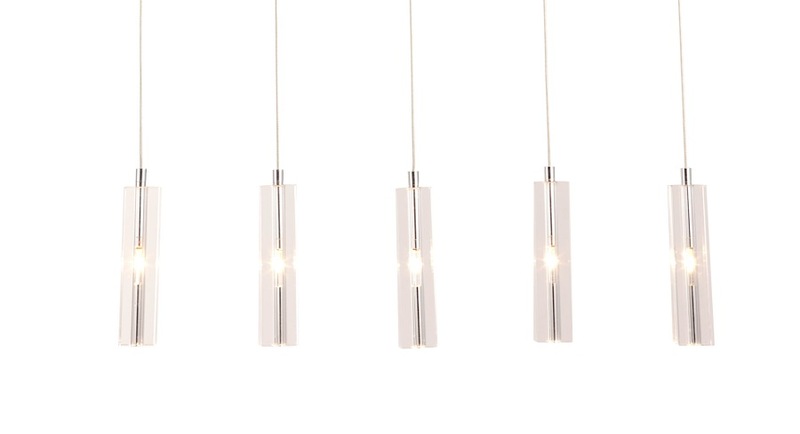 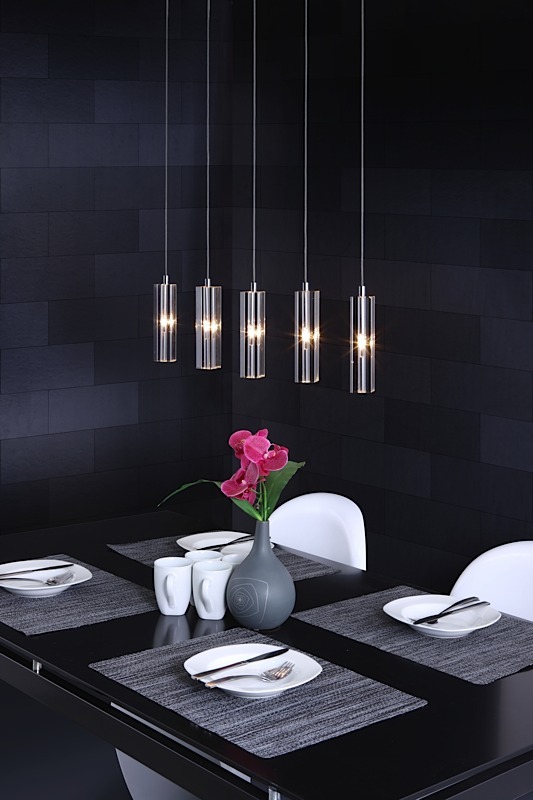 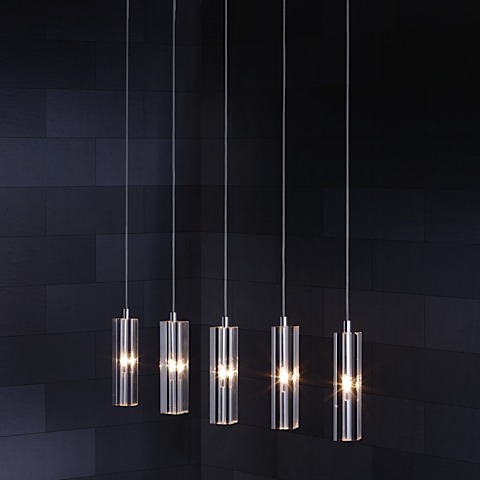 Five sleek and slim pendants are suspended into the modern Celeron Ceiling Lamp. 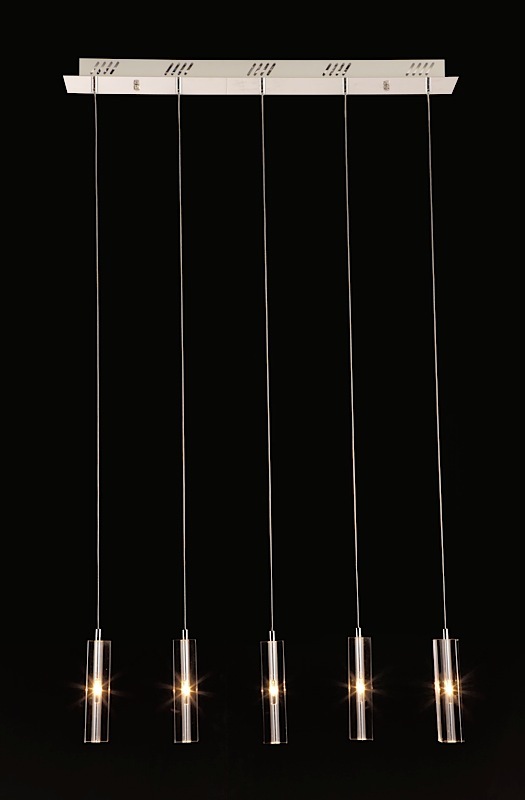 Celeron requires five (5) G4 type T 20W max halogen bulbs (included), each encased in a 1.5"d 6.5"h glass case. 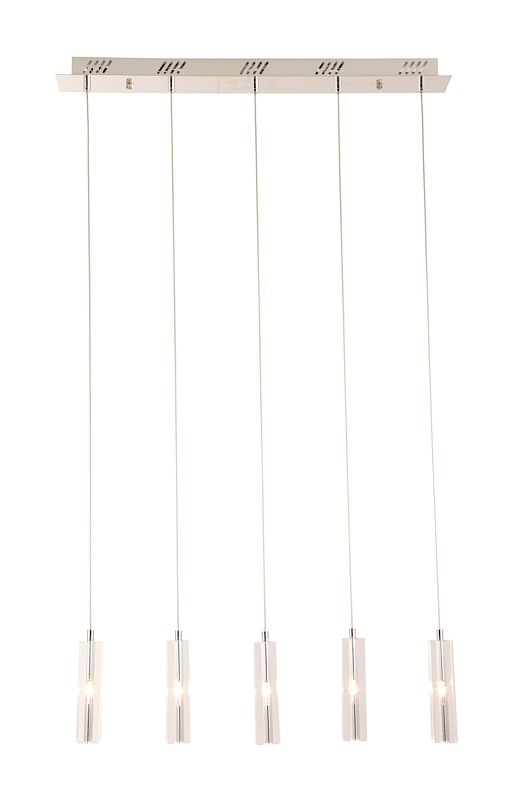 Cord length is adjustable up to 29.5".